It was mentioned in the book of The Islamic Personality Vol. III under the subject of Qiyas (Analogy) in conditions pertaining the Asl (origin), the third condition: that the evidence indicating the ruling of the original matter (al-Asl) should not be addressing the new (al-Far’) matter … And, the sixth condition: the evidence indicating to prove the ruling of al-Asl is not indicating to prove the ruling of the al-Far’. What is the jurisprudence (fiqhi) difference between those two points? Jazakum Allah Khairan. This verse indicates the prohibition of trading when the Jumu’ah Adhan is called by the Illah (reason) of distraction to the remembrance of Allah, that is distraction from the Salaah (prayer). This Illah is derived Istinbaatan (extraction by way of inference), and it did not mention the rule of leasing when the Adhan is called. But because the Illah of distraction to the remembrance of Allah in leasing, when the Jumu’ah Adhan is called, exists as it exists in trading when the Jumu’ah Adhan is called, then the ruling of trading when the Jumu’ah Adhan is called, which is the prohibition, is extended over to leasing when the Jumu’ah Adhan is called. That is, leasing is compared to trading when the Jumu’ah Adhan is called, i.e. the hukm of leasing would be haram when the Jumu’ah Adhan is called… Thus, the new case (Far’) in this example is leasing, the original case (Asl) is trading, the legitimate rule (Hukm Shar’i) pertaining the Asl is prohibition, which is found in trading when the Adhan of Friday is called, and the reason (Illah) is the distraction when the Jumu’ah Adhan is called, which is found in both trading and leasing. These are called the pillars of Qiyas (Analogy) … and the result of Qiyas (Analogy) and its outcome is the ruling which is to be applied to the new case (i.e. hukm al-far’) which is in this example the prohibition of trade when the Jumu’ah Adhan is called… Thus, the evidence (Daleel) stated the ruling of trading وَذَرُوا الْبَيْعَ, and it did not mention selling, whereas selling was linked to trading by reason of the common Illah, which is the distraction when the Jumu’ah Adhan is called, which is found in both trading and selling. * So if the evidence indicating hukm al-asl (the ruling of the origin) addresses the Far’ (the new case)… then there is no Qiyas (Analogy) made, because hukm al-far’ (the ruling of the new case) will be based on the evidence and not on the Qiyas (Analogy) … This is the third condition (that the evidence indicating the ruling of the original case (asl) should not be addressing the new (far’) case..). An example of the third condition: the prohibition of saying “Uff” for the parents and the prohibition of abusing parents. So if someone were to say that the prohibition of “Uff” is the Asl, because it has evidence which is the Ayah: فَلَا تَقُلْ لَهُمَا أُفٍّ “Do not say to them ‘Uff’” [Israa: 23], and abusing parents is the Far’ and is compared to the prohibition of saying “Uff” by the Illah (reason) of not to offend parents or trouble them … this saying is not correct by analogy (Qiyasan)… The reason is that, the evidence for what was considered Asl which is the Ayah فَلَا تَقُلْ لَهُمَا أُفٍّ “Do not say to them ‘Uff’” [Israa: 23], this evidence addresses the Far’ through the inferred meaning of the text (mafhum),. For the pronounced meaning of the text (mantuq) is the prohibition of the word “Uff”, and the Mafhum al-Muwafaqah (congruent meaning) here is prohibition of what is greater than saying “Uff” by greater reason (bab uwla). Hence there is no Qiyas performed because the evidence for the prohibition of “Uff” deals with the prohibition of “abuse” by Mafhum al-Muwafaqah. 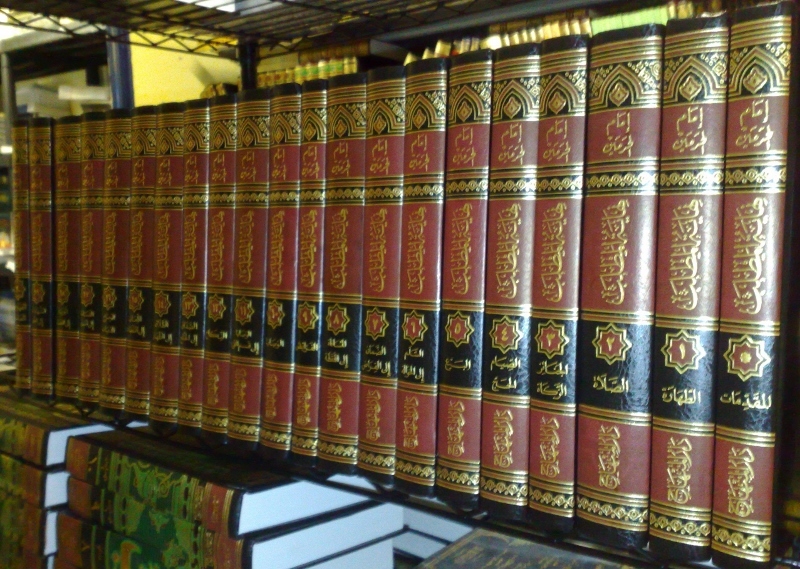 Accordingly, as stated in the third condition that Qiyas (Analogy) is not performed if: (the evidence indicating hukm al-asl (the ruling of the origin) addresses the Far’ (the new case); because if it addresses it then the prove for the hukm al-far’ is by that evidence and not by Qiyas, and thus Qiyas is lost). For further clarification, the Qiyas (Analogy) in the prohibition of trade to selling when the Jumu’ah Adhan is called, that we show at the beginning of the answer, this Qiyas was performed because the evidence for the prohibition of trading is contained in the text. This evidence does not address leasing, not from the uttered expression (mantuq) or by the implied meaning (mafhoom), but leasing was linked to selling because of the existence of the Illah of distraction. That is, it is not because the evidence for the prohibition of trading deals with the prohibition of leasing by the evidence itself. Whereas, if the evidence indicating hukm al-asl addresses the Far’ in accordance with the linguistic methods, then there is no Qiyas (Analogy), instead hukm al-far’ in this case is by evidence (Daleel) and not by Qiyas. An example of the sixth condition: If there are two matters and there is no evidence provided for any of them, but the ruling of both is proved by an evidence which does not state any of them explicitly… in this case, neither becomes an Asl or a Far’, in other words none of the two is linked to the other by Qiyas. For example, if there are two types of intoxicants (a), (b) there is no evidence states the prohibition of any of the two types, but the prohibition is proven by an evidence that does not state any of them … in this case it is not considered one of them as al-Asl and the other as al-Far’, because both are at the same level, since the rule of prohibition for both of them was proven by an evidence which does not state any of them, thus, they are equal in terms of evidence… For example, honey wine, and barley wine, if there is no evidence to state that honey wine is haram or to state that barley wine is haram, but there is an evidence that indicates proving the rule of prohibition of honey wine, and the evidence itself indicates proving the prohibition of barley wine, and this evidence is the saying of the Messenger ﷺ:«كُلُّ مُسْكِرٍ خَمْرٌ، وَكُلُّ مُسْكِرٍ حَرَامٌ» “Every intoxicant is Khamr, and every intoxicant is haram”, narrated by Muslim from Ibn ‘Umar. And based on this evidence that makes every intoxicant Khamr and that it is forbidden, the prohibition of honey wine and also the prohibition of barley wine is proved, as long as they are intoxicating (Muskir). That is, the evidence for proving the prohibition of honey wine and the evidence proving the prohibition of barley wine is the same evidence … Thus, there is no Qiyas in this case, but each of these intoxicants are individual matters which their Hukm is proved by the same evidence«كُلُّ مُسْكِرٍ خَمْرٌ …» “every intoxicant Khamr …”. Hence, the sixth condition that there is no Qiyas if: (the evidence indicating to prove the ruling of the asl is not indicating to prove the ruling of the far’, otherwise making one the Asl (original case) for the other is not more appropriate than the contrary…). The third condition is looking at the fact that the evidence for the rule of original case (Hukm al-Asl) is addressing the new case (al-Far’). The sixth condition is looking at the fact that the evidence to prove the rule of original case (Hukm al-Asl) is the same evidence to prove the rule of the new case (Hukm al-Far’).